Michael Idehall is truly a master of the dark arts. With his first mixtape ever for Repartiseraren, he goes into shadowy territory. This mixtape is an introductory to his teachings which he meddles to the listener through an innovative landscape that quickly shifts from a baseless dark ambient, to a sudden flash of industrial – bordering to death-industrial – but not purely associated with one genre. His own visions are deeply ingrained in this mixtape and it will make us mortals tremble. Everyone will have their own opinion, but we’re speaking in tongues as we’re caught in the middle of greatness. Now nobody really knows where they stand and everything will change in the nearest future. You don’t know if it’s a crack in the wall or if the world is being torn apart. 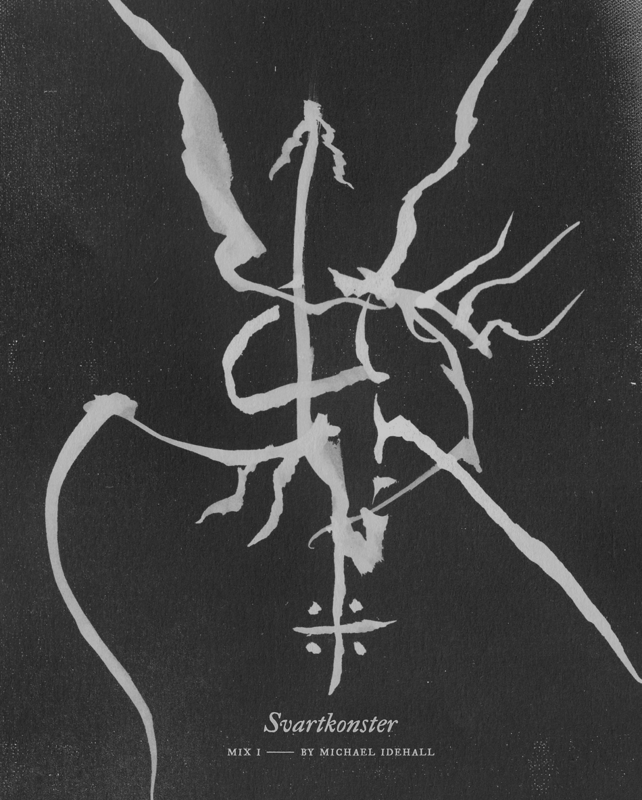 With “Svartkonster” the metaphysics of his music is represented as a theme. Depending on who you ask, the theme varies, but it begins with a false sense of security as the wave of darkness begins to catch up with you and quickly rumble into a complete storm. Your senses are clouded as his magical and hypnotizing sounds do their best to seduce you into compliance. I’m proud to be hosting this mixtape and to be working with Michael Idehall on a co-operative level. Even though he is the conjurer, I am the overseer that sees to everything being where it should be. Enter a blackened world that makes the post-apocalypse seem like a fairytale. A lot of words can be used to describe it, but it is best to just listen to it and make up your own mind – if you’re still in charge afterwards. Illusory, steady as steel and inconstant are words that might not be apt to describe it wholeheartedly, but I feel so empty after I’ve been struck with the perfection that emanates through layers and layers of sonically charged superstition. You can trust me on the fact that it will at least not leave you indifferent, I believe it will leave you with a magnitude of different emotions – each to his own. Listen to it down below.